Hello my lovelies! Is it cold or what? I'm not sure how many people are experiencing this, but my country has been freezing over the past days and it's not over yet. It's really hard to stay positive when it's Monday and the temperature is so low, but nails always help me. I have a fresh manicure on my nails today and it's all blue. Take a look! 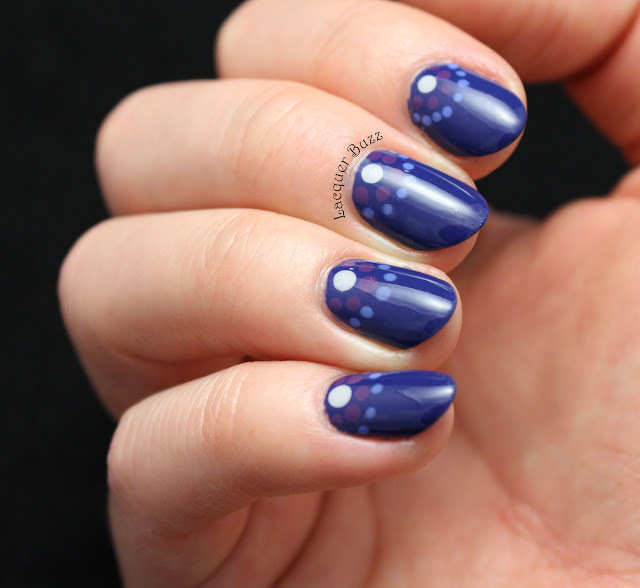 I haven't done a dotted manicure in ages and I haven't seen many of them around lately either. It seems that everyone has forgotten about dots. It's probably because there are so many elaborate techniques out there, but to me they are still great to do. 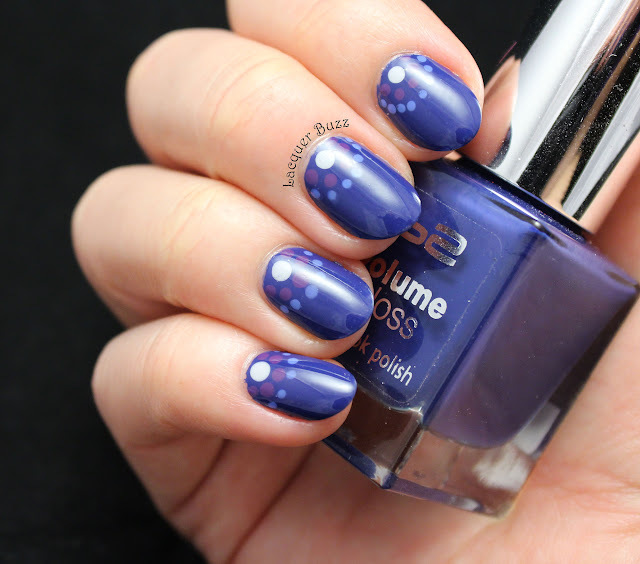 So this week I was inspired by a bunch of bloggers that have done similar manicures in the past and created a design using different colors and sizes of dots. I love how it came out! I only used polishes from the p2 Volume Gloss collection for these nails. They have great formulas and opacity, plus I own a bunch of colors from the collection and these seemed to go well together. 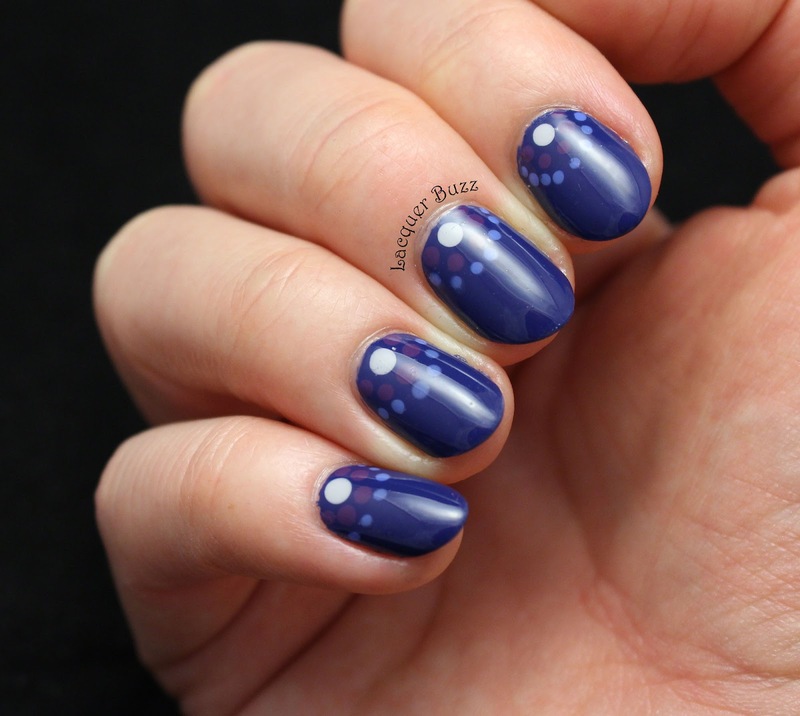 So I used 110 Ocean Lady as a base (just one thicker coat was enough) and then I created the dots using 620 Stone Picker (light grey), 190 Midnight Vamp (purple) and 200 Crazy Beauty (blue). 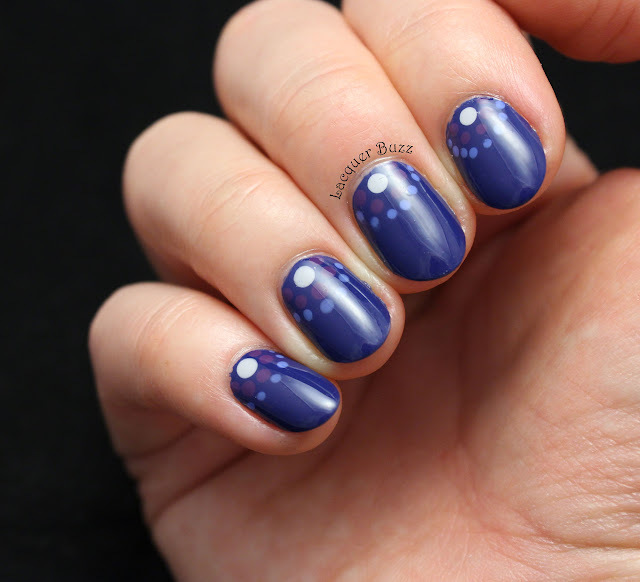 These nails were very easy to create, even with my non dominant hand. I love dots because you can do different designs using different sizes and colors for them. I really hope you like these too. Make sure you check out the rest of this month's Monday Blues in the links below!